On Tuesday night King County Metro kicked off public outreach for a Long Range Plan that will outline the future of public transportation in the Seattle region. It’s the next in a series of past plans that guide the agency’s provision of services, this one prompted by the region’s rapid growth and recent funding debacles. Last night’s event at the Seattle Central Public Library started with a brief workshop and moved to a panel discussion of notable figures in the transit world. Their remarks offered direction for Metro’s efforts in equity, technology, and community. The first half hour of the event consisted of six breakout groups on broad topics that Metro will address in the Long Range Plan. It was a small room for the huge, diverse crowd, but once everyone settled in there were some lively discussions. Staff facilitated conversations on transit funding, integration with other transportation systems, working with businesses, and other themes. People from all walks of life were concerned with ideas as varied as late night service to off-board fare payments. The participants moved to the auditorium and King County Executive Dow Constantine gave some opening remarks, saying he was excited about the process and the enthusiasm of local residents about transit systems; he said he often reads Seattle Transit Blog. He noted 90 percent of King County Metro riders have a car, and with Seattle ranking fifth for congestion nationwide it is imperative that the transit system continues to be robust enough for people to leave the car at home for all kinds of trips. Three guest panelists weighed in on the direction of transit planning the Seattle area. Mark Hallenbeck from the University of Washington’s transportation research center works with the state on multimodal performance measures. Rebecca Saldaña is the executive director at Puget Sound Sage, a research and advocacy organization working on affordable housing, worker’s rights, a clean environment, and racial equity. Jarrett Walker is an international consultant in public transit network design and author of Human Transit, a book on enriching communities through transportation. Saldaña started by asking who the agency is planning for. Growth management, climate change mitigation, and the region’s quality of life are all driving factors for good transit, but many groups are underserved. Youth, seniors, the disabled, the poor, and immigrants especially face barriers, both physical and economic, and often live in “transit deserts”. At some point, she said, there can actually be too much outreach and transit planners need to simply serve these populations better. Walker pointed out, though, that because of funding constraints there will always be a balance between high ridership and access for all. Suburban land use geometries are inefficient to serve with transit, and in many areas its too late to change the shape of past development. However Walker said if the community values equitable access to transit, serving those low density and affordable places is possible. Hallenbeck’s opening statement was similar, emphasizing that suburbanites are not evil because they drive. They simply have no other practical choice because of how far they live from work, school, and shopping. This can be true even in cities like Seattle with its many single family neighborhoods. Walker offered a concise definition of what makes high capacity transit successful, which will be familiar to urbanists: if a community values all day frequent service, which guarantees lots of riders, the city needs to be dense and walkable, and the transit lines need to be linear. The last point is important because people like to have a clear sense of direction. He shared freedom maps of how far a person could travel by transit and foot in 15, 30, and 45 minutes; there is a vast difference based simply on the starting location. When asked about employment, he said businesses have a choice between cheap real estate and the ability of their workers to arrive by transit. The six workshop facilitators then asked the panel summary questions from the participants they interacted with earlier: How can the ORCA card serve as an equalizer? How can Metro better integrate with emerging modes like light rail, car share, and bike share? What have other agencies done to secure sustainable funding? Investments like bus-only lanes and traffic signal priority could also help make service more reliable for all riders. Photo by the author. The panelists cautioned relying too much on technology to solve systemic challenges. While electronic cards can adapt to any type of fare structure, such as the new low-income ORCA LIFT, they don’t work for those who have to watch every dollar they spend. They do help increase reliability, though, by speeding up bus boardings; distributing cards at places like schools and community colleges could help increase their adoption. Emerging technological solutions, like those developed at Hack the Commute, could also play into the Long Range Plan. Without humor, Walker said many rail transit agencies plan their lines and stations and then leave the rest to the “little bus people” to figure out how to connect to them. Fortunately, Metro and Sound Transit have committed to cooperation as light rail expands throughout the region. The U-Link Connections effort is a timely example of this. Getting cities to increase zoned capacity around stations is probably the single most reliable way to get people to use transit. Walking and bicycling connections, along with the wayfinding, lighting, bike storage, and other amenities, are also critical. As for funding, Walker highlighted the example of the Mass Transit Railway Corporation in Hong Kong; it earns a hefty profit by renting out commercial properties it owns near subway stations. He poked at the Washington state legislature for limiting local funding options, but for now Metro’s funding crisis has been placated with tax dollars approved by Seattle residents. Metro General Manager Kevin Desmond wrapped up by asking some other key questions that will help shape the Long Range Plan moving forward. In addition to equity and interagency partnerships, how can Metro use technology to decrease its carbon footprint? What is the role of transit in creating livable communities, especially as the region braces for hundreds of thousands of new residents and jobs over the coming decades? He agreed with Walker in that transit is an enabler of freedom of movement and economic mobility, but there will always be tradeoffs between convenience and geographic service. You can get involved by checking out Metro’s website, taking a survey, sending in comments, or applying for a position on an advisory board. This space will be updated with news on the plan as it develops. This article is a cross-post from The Northwest Urbanist, the personal blog of Scott Bonjukian. 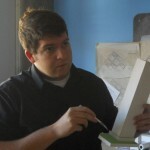 He is a graduate student at the University of Washington’s Department of Urban Design and Planning.